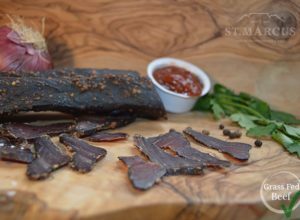 Not only is our Piquant Pepper Beef Biltong made from grass fed Beef Silverside, but it tastes remarkable. Considering it’s made from a mix of fragrant herbs and spice, could you expect anything less? We’ve also crusted it with bold peppercorns for a nice spice. The art of curing meat is a tradition that’s been perfected for over four hundred years. It started with our sailing Dutch forefathers. They found soaking meat in vinegar before massaging it with salt was the only way to keep raw meat while at sea for months at a time. 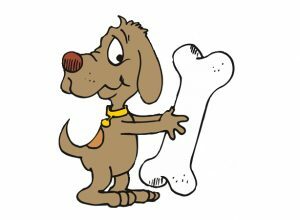 At first, they would rehydrate the meat before cooking it. However, while journeying across Africa, the Voortrekkers learned to save time by carving and enjoying it as it was. 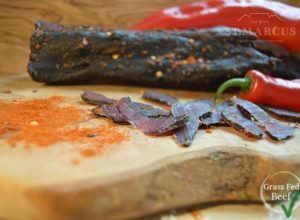 If only they had our Piquant Pepper Beef Biltong back then. 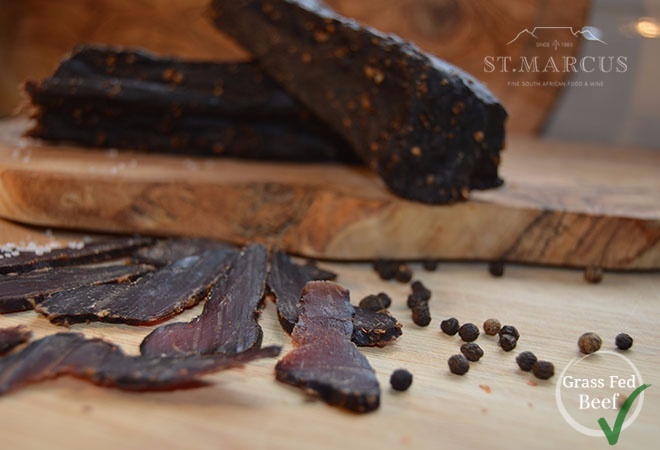 Even though Emory St. Marcus started making Biltong over 30 years ago, we still find creating new lines an exciting endeavor. 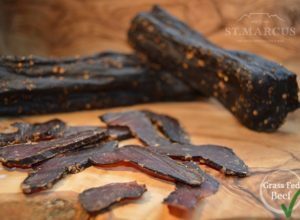 This is mainly because Biltong always remains at the forefront of our business. We’re always striving to bring a piece of home to South African’s living abroad.